Patriotism has no season. It is a belief of the heart. So go ahead and let your Patriotism shine anytime. 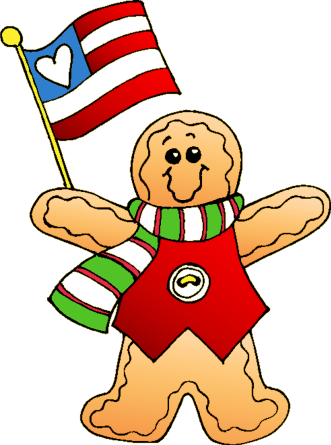 The American Gingerbread Man carries a flag with a heart. Switch it up with your own country flag. Use by himself or mix and match with the other gingerbread patterns. Change the colors in his scarf for other holidays like Memorial Day or the 4th of July.